Josh will discuss early analysis of a newly created, very large public data set on old-age, individual mortality in the United States. By linking individual records from the 1940 census and Social Security Administration deaths, Josh and colleagues have built a new, big data set that allows the study of detailed covariates on a sample of millions of people. Josh will explain how the data set was created, some special methods needed to estimate mortality, and preliminary results on trends in educational, income, and racial disparities in mortality at ages 65+. Josh Goldstein is a Demographer. His research interests include fertility, marriage, social demography, historical demography, population aging, and formal demography. 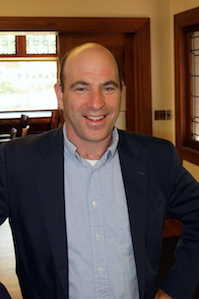 Prof. Goldstein’s publications include “How 4.5 Million Irish Immigrants Became 40 Million Irish Americans: Demographic and Subjective Aspects of Ethnic Composition of White Americans,” “Marriage Delayed or Marriage Foregone? New Cohort Forecasts of First Marriage for U.S. Women,” and “The End of ‘Lowest-Low’ Fertility?” Goldstein received his M.A. (D.E.A.) in Demography and Social Sciences at the Ecole des Hautes Etudes en Sciences Sociales in Paris and his Ph.D in Demography from Berkeley. Before returning to Berkeley’s Demography Department in 2013, Goldstein held positions as Professor of Sociology and Public Affairs at Princeton University and Director of the Max Planck Institute for Demographic Research in Rostock, Germany. Goldstein’s recent research includes a new interest in big data and naming patterns, particularly what first naming patterns can reveal about fertility intentions and how the choice of first names influences life chances.